Add the simple beauty and simplicity of the Sono Glass Coffee Table by Moe's Home Collection to your modern living room for a clean, contemporary look. With a waterfall edge and a sleek, crystal clear design, this table is instantly eye-catching, signaling to your guests that you have an elegant sensibility. 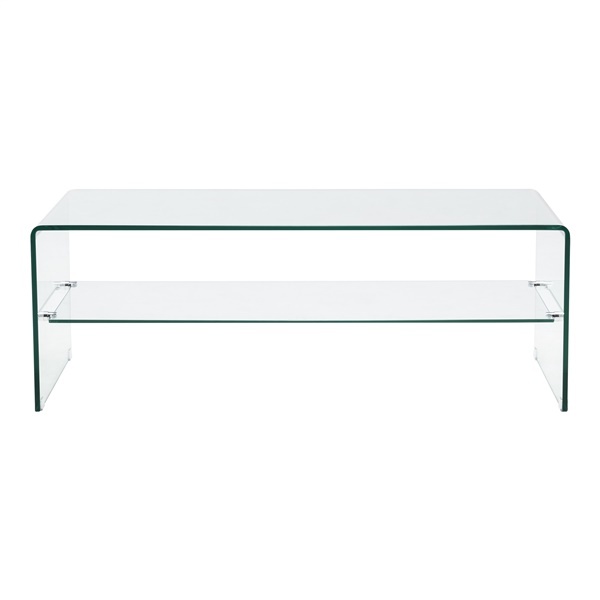 This modern glass coffee table is perfect for tight spaces and features a single shelf underneath for convenient storage space. For a coordinated look, pair Moe's Sono Glass Coffee Table with the matching Sono Glass Console.